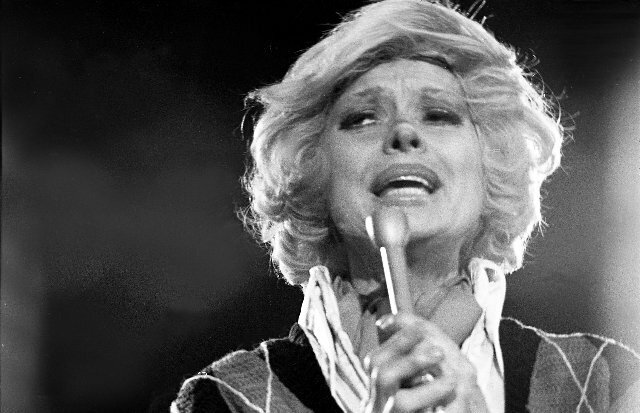 Carol Elaine Channing (January 31, 1921 – January 15, 2019). Photos copyright c by Charles Giuliano. Announer Matt Siegel with impersonator Craig Russell and Channing. Channing and WGBH DJ Ron DellaChiesa. 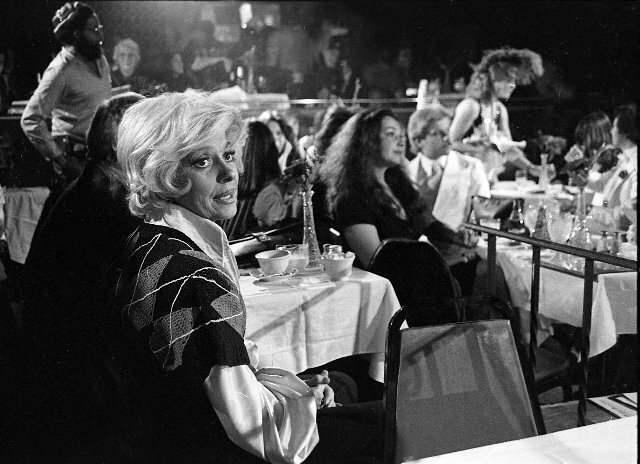 News today of the passing of Carol Elaine Channing (January 31, 1921 – January 15, 2019) recalled hearing her in a cabaret setting. 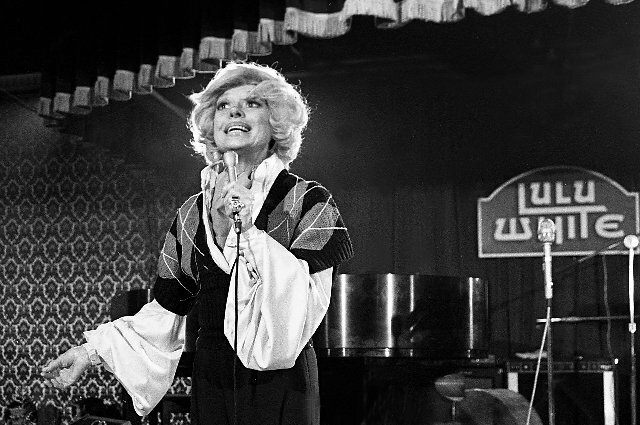 During a casual set of show tunes of course she sang “Hello, Dolly!” She played the lead in the 1964 Broadway debut of the Jerry Herman musical. She won a Tony award for what proved to be an iconic role. Since she initiated it many have interpreted the larger than life character. There have been revivals and numerous regional productions. Her Broadway debut was Gentlemen Prefer Blondes in 1949. Then Dolly in ’64. 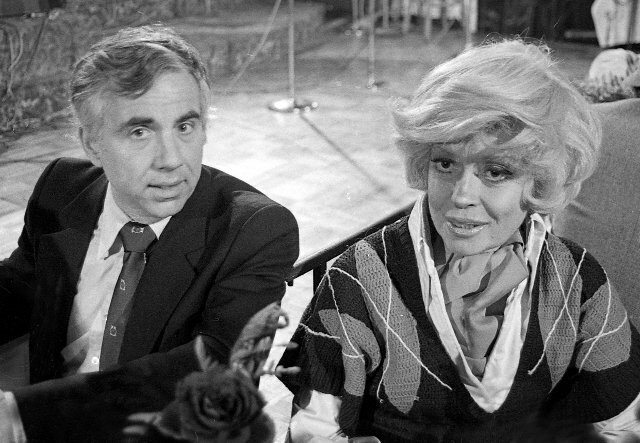 She revived both roles several times throughout her career, most recently playing Dolly in 1995. Channing was nominated for her first Tony Award in 1956 for The Vamp followed by a nomination in 1961 for Show Girl. She received her fourth Tony Award nomination for the musical Lorelei in 1974. 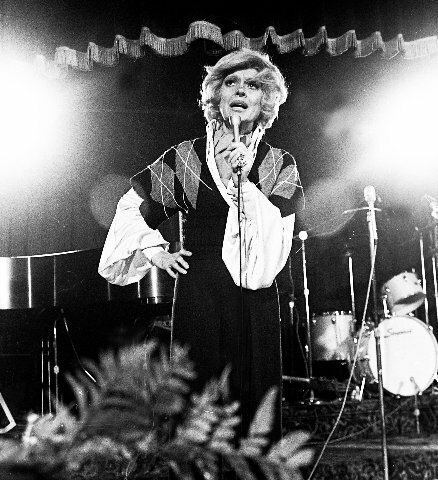 Then still glamorous in the late 1970s it was thrilling to hear her child-like, pixie voice evoking an iconic musical. 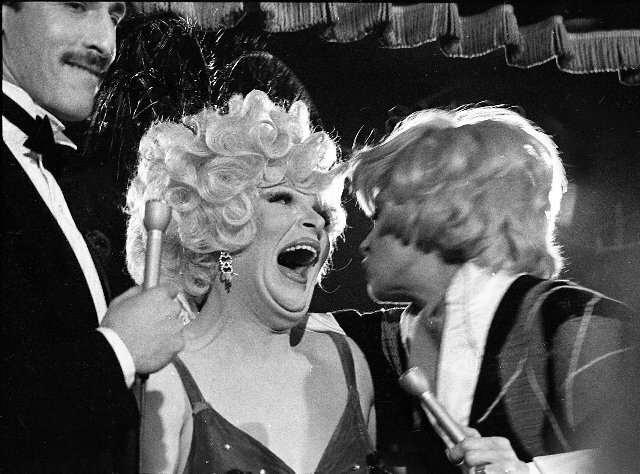 Most recently Bette Midler had a successful run in a sold out Broadway revival as Dolly. But there’s nothing like the real thing baby and Channing was intoxicating. 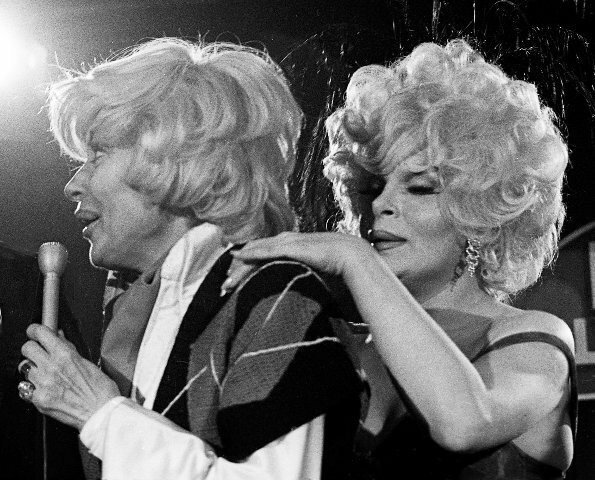 Like the most outré women of stage and screen, from Judy Garland to Bette Davis and Cher, her outsized persona was a magnet for female impersonators. At Lulu White’s in Boston’s South End, in a moment of ultra high camp, she was mirrored on stage by drag queen Craig Russell as a picture perfect Channing. It was all in good fun and she appeared to enjoy the humor every bit as much as the audience. The club which featured top jazz and cabaret artists, from 1978 to 1982, was a hang out for aficionados and hipsters. The artists between sets often joined media and fans for drinks and bowls of Chef Chandler’s authentic gumbo. It was in that rare ambiance that I got to enjoy Channing in all of her charm up close and personal. So let me propose a toast to a great lady who brightened the stage and warmed our hearts. Thanks for so many years richly lived.